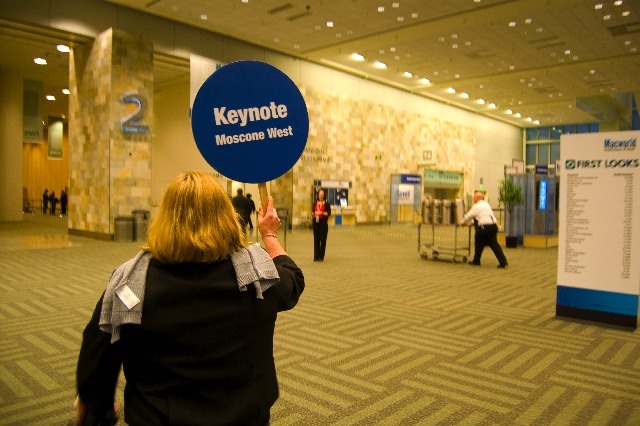 We’ve just finished our 22-hour stint on the keynote line, and I’m joining you live from… Moscone South. No opportunities presented themselves for me to be admitted, so I was forced to part ways with Matt as he entered the building just minutes ago. I’ll be here throughout the keynote, monitoring and maintaining the liveblog. If anything at all’s awry, drop me an email at sidney@theilife.com or a message on GTalk (SidneySM).